Announcement Welcome to 2 Many Sewing Patterns - specializing in sewing patterns from all eras along with vintage crochet, knitting and embroidery patterns and transfers in paper and PDF format. New patterns added daily. Check back often. Favorite my shop if you like what you see. All you have to do, is click on the heart. Thank you so much! Did I say we Ship Fast? We have all packages in the mail by the next morning or sooner. Wisconsin winters can be brutal, but we will always do our best to get your order out as soon as possible. Thank you for Shopping at 2 Many Sewing Patterns and Have a Wonderful Day! Welcome to 2 Many Sewing Patterns - specializing in sewing patterns from all eras along with vintage crochet, knitting and embroidery patterns and transfers in paper and PDF format. Aunt Martha's - Hot Iron Transfers - Embroidery Transfers - Hot Iron Pattern - for Embroidery, Fabric Painting, Wearable Art, Needlepoint. 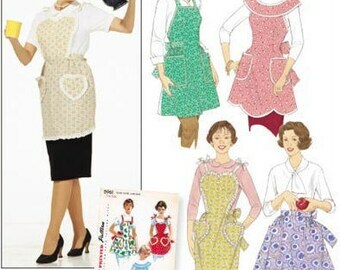 At 2 Many Sewing Patterns we specialize in sewing patterns from all eras along with vintage and modern crochet, knitting, embroidery patterns and transfers in paper and PDF format. My love for collecting sewing patterns has grown into an online business that I would like to share with you. There can never be too many sewing patterns, as a result, that is how I came to be 2manysewingpatterns. Thank you so much for stopping by. If you ever have a question or concern, by all means just ask. I am happy to answer you questions. Please contact me within 14 days if there is a problem with your order. Returns are accepted within 21 days of receiving order on physical items. What happens if I just don't like it or I have changed my mind? I understand that sometimes we change our mind and that's ok, so my return policy is as follows. I do accept returns if you are unhappy with your order or you have had a change of heart, but and this is the hard part. Buyers are responsible for the return shipping cost. Also, the item will need to be returned in its original condition to receive a refund (minus the cost of original shipping). Your refund will consist of the price you paid for the item or items alone. Now, if you feel that I have grossly misrepresented an item or items, then we can discuss it and I am sure we can come to a pleasant conclusion. Please ask questions prior to purchase if there is anything you are uncertain about. I am more than happy to answer any and all questions. If your item or items arrives damaged, please take a photo of the item or items and email it to me. I can then determine from the photo whether or not it needs to be returned, and if so, I will simply issue a full refund on your purchase. What happens if I (the customer ) have given you the wrong shipping address? before placing your order. The other option is just to wait and see if your package is returned to me. If it is, I will then cancel and refund your order, minus the original shipping cost, relist the item or items and you can re-purchase your item or items. Don't forget to update your shipping address. 3. Click on ADDRESSES - you'll see your shipping address here. Also, this is where you edit it if need be. Hope this helps. Returns are not accepted on Digital Items /PDF Patterns unless they are grossly misrepresented. Please, don't hesitate to contact me if you have any problems concerning your order. Payment methods - Credit Cards, Debit Cards, Etsy Gift Cards, and PayPal. All orders are shipped by 2 Many Sewing Patterns with delivery confirmation. You will receive a email when your order has shipped which will include your tracking number. Combined shipping is shown at checkout and is based on the actual calculated shipping weight using the USPS shipping calculator provided by Etsy. You will not be charged any added fees, just the actual cost. Your order will be shipped as soon as payment clears, usually within 1 to 3 days. There is no shipping charge for digital download/pdf items. All Customs Duties, Taxes and Fees are the responsibility of the buyer, and are not included in the item amount or the shipping price. I love my international customers and am more than happy to ship my patterns to you. Just know that shipping times will vary. Sometimes mail moves through the postal system quickly and other times not so much so. Please make sure your country codes or anything I need to know are accurate and up to date. Thank you! I, 2manysewingpatterns am the data controller of your personal information as it relates to my shop. When you place an order, I will receive your name, delivery address and email address from Etsy. I will only use these details to process and deliver your order, or deal with any queries you have related to that order. If you send me a message using the contact button on Etsy, I will receive your user name and email address. The only circumstances in which I will share your data are in processing your order or complying with the law. I will never use or pass on your information to third parties for marketing purposes or any other purpose, other than the circumstances listed below or add you to any mailing list without your explicit consent. 1. With Etsy to comply with my obligations. 2. With delivery companies to fulfill your order. 3. To comply with legal or tax obligations. Are your sewing patterns Cut or Uncut? be clearly stated in the listing. What Condition can I expect the sewing patterns to be in? Some, but not all envelopes shows wear (may or may not be wrinkled, flaps may be missing, some may have tears, some may have writing, some may have stickers on them, some may be discolored, some may have odors) etc. My stock is stored in a smoke and pet free warehouse in plastic containers. My office is located in a smoke free, but not pet free home. My fur kids are all seniors now and really have no interest in helping me anymore. Do your sewing patterns come with Instructions? Almost all my sewing patterns come with instructions on sizing, how much fabric to purchase, what notions you will need to purchase, how to lay out your fabric, and basic sewing instructions. Information needed can be found on the back of the sewing pattern envelope and on instruction sheets included with the sewing pattern. Some patterns may actually be missing the instruction sheet or envelope, but that would be clearly stated in the listing.